Most people know that it is important for your dental hygiene to change your toothbrush every three months but do we actually remember to do it? As a busy mom in a family of five, I forget to keep track of when it is time to change our toothbrushes so I have found that the length of usage either goes longer than the recommended time or I change it too frequently ultimately wasting money. That is where ToothbrushSubscriptions.com comes to the rescue with the perfect solution to the toothbrush dilemma. How does it work? This subscription service will send your family a new toothbrush every three months right to your doorstep so you will never forget to switch out brushes on schedule every again and no worries about having to head out to the store to purchase brushes for everyone in your household. I love that when you are setting up your subscription at ToothbrushSubscriptions.com you can select the perfect model toothbrush for exceptional oral hygiene i.e. The Adult, The Teen, The Junior, The Baby and even The Newborn. There are a variety of colors to choose from so that everyone has their own brush and no icky mix-ups. 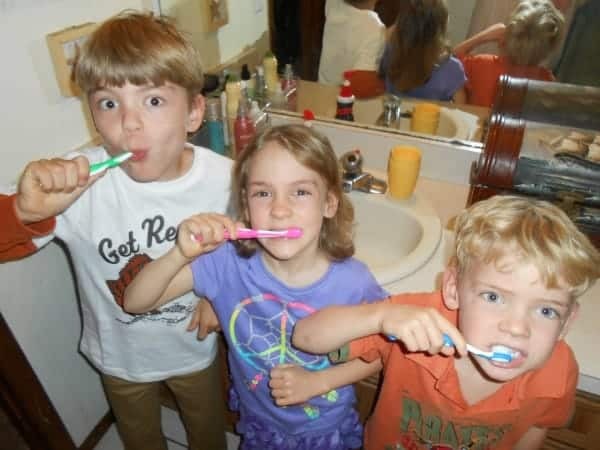 My children love to get a new toothbrush and I find they will brush just a little longer when they receive it. I am impressed with the quality of the toothbrushes and love the convenience and affordability of the subscription service at ToothbrushSubscriptions.com. 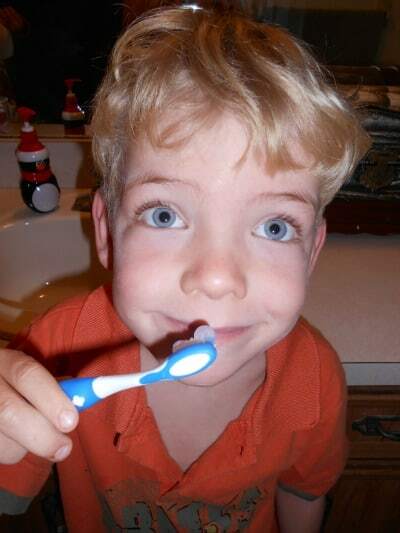 You can order as many subscriptions as you need for your family at only $4.95 per toothbrush. There is also no need to worry about being locked in to a subscription because you can cancel at any time. Are you ready to get started? You are invited to head over to ToothbrushSubscriptions.com to learn more about how it starts and start selecting your toothbrushes! DEAL ALERT for Simply Stacie readers: You can currently receive a 50% off discount off your first 3 months of toothbrushes at ToothbrushSubscriptions.com. 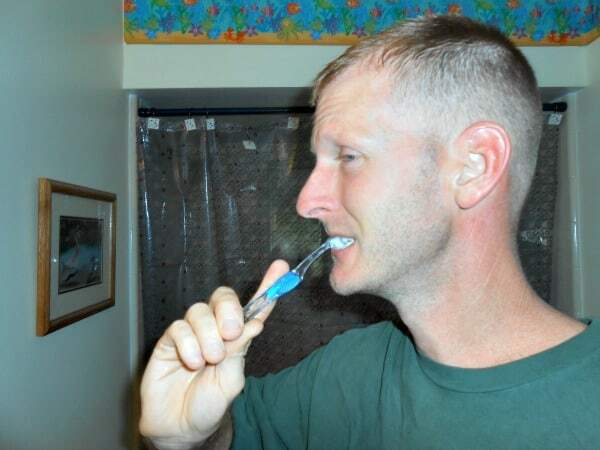 This makes it only $2.50 per toothbrush delivered right to your door! After the first 90 days, your subscription will convert to the regular subscription service at only $4.95 per toothbrush. To sign up, use the coupon code: simplystacie at checkout! I just found out about a service which provides new toothbrushes made of recycled material that are also mailed to you and once it is used you send it back to be recycled into a different product. they charge 15$ per year which includes 4 toothbrushes. Just my husband and I here so we would go for the adult brushes. I like the pink and he would go for the blue. I would choose the adult toothbrushes. I would like the adult toothbrushes. I would get the adult tooth brushes. We would need the Newborn, The Junior and the Adult. Adult and Child sizes. What a great recycled idea this is too! Funny at first, but it does make total sense!! I would choose the junior! I’d get the Adult Toothbrush. 2 Adults, 1 Teen and 1 Junior. We only have adults in our family so it would have to be the adult toothbrushes for us. i would choose the adult. I would choose the Adult Blue toothbrush. I would choose only the adult toothbrushes. They look great!